Wednesday, April 11, 2018 by: Isabelle Z. (Natural News) You might have noticed that the mainstream media generally likes to pretend that getting a vaccine means there is no way you’ll ever contract the disease in question. Any time there is an outbreak, most outlets will go out of their way to point out how many unvaccinated people were involved while conveniently leaving out those who were vaccinated, and they’ll use the opportunity to scare people into lining up for these toxic vaccines. That’s why it was so surprising when USA Today recently admitted that a university student involved in a recent measles outbreak had indeed been vaccinated. 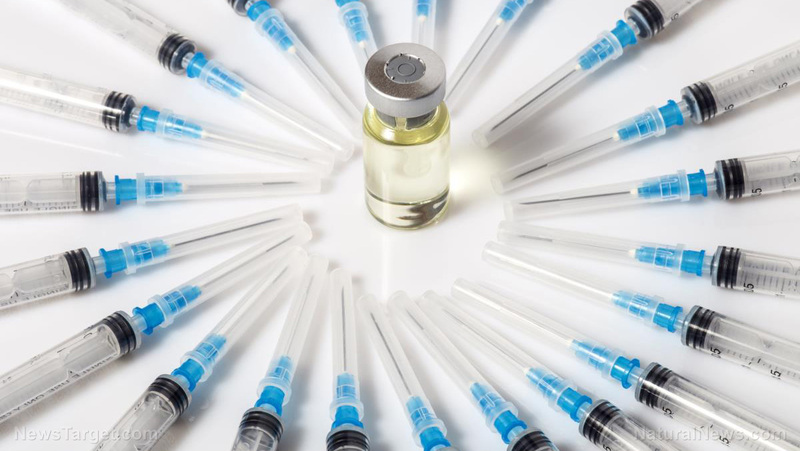 Although the University of Nevada, Reno, student had been vaccinated with the measles, mumps, and rubella vaccine, it is not known whether or not he had gotten both doses. The vaccine is typically administered at 12 to 15 months and then followed up with a booster between the ages of 4 and 6. Getting just one dose is only slightly less effective than getting both, however, according to the Centers for Disease Control and Prevention. The student is believed to have potentially exposed a lot of people to measles because he visited a ski resort, a Walmart, classes on campus, a hospital, and a health center. Measles is a highly contagious airborne respiratory disease that is easily spread via the sneezes and coughs of those who are infected. Symptoms can develop around 10 to 12 days from exposure and last as long as 10 days. The earliest symptoms of measles include a cough, high fever, inflamed eyes, runny nose, and a rash that starts out on the forehead before spreading throughout the body. While it’s not exactly pleasant, measles is typically pretty mild. However, in some extreme cases, people might experience more serious complications like brain inflammation, pneumonia, and hearing loss. Those who get the disease naturally go on to develop lifelong immunity to it. USA Today goes on to admit that vaccinated people getting measles is not unheard of, although they do claim it’s “unusual.” The paper also admitted that in March, a measles outbreak in Kansas involved infants at a daycare — and one of the people who came down with the disease had been a fully vaccinated adult. A “bad batch”? How common is that? And while the notion of there ever being a “good batch” of a vaccine is laughable, twice-vaccinated people have been found to spread measles; for example, it happened in the 2011 New York City outbreak. The truth is that many measles outbreaks can be traced back to people who were recently vaccinated. MMR is a live-virus vaccine, and those who get it shed the diseases in question for weeks or even months after getting the jab, during which time they can infect others — both the vaccinated and the unvaccinated. These people walk around, highly contagious without any signs of the illness, putting others at risk. The truth is that the measles vaccine is more dangerous than measles itself. While a measles outbreak is mild and gives you immunity for the rest of your life, the vaccine only offers temporary and incomplete immunity. It has been linked to very serious adverse reactions like brain inflammation, seizures, thrombocytopenia, encephalopathy, and gastrointestinal disorders, and hundreds of claims have been filed in the U.S. Vaccine Injury Compensation Program for deaths and injuries related to the vaccine. So, in other words, getting the vaccine puts you (and others) at risk without offering you true protection, as one Nevada college student is unfortunately learning the hard way right now. Read Vaccines.news for more news on the failures of vaccines.